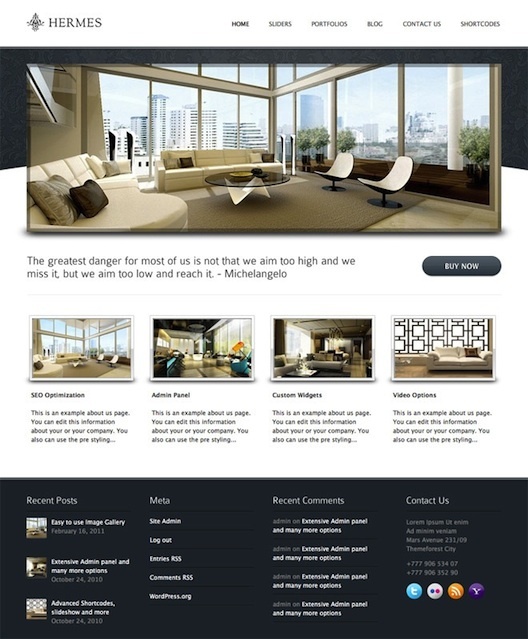 Hermes is the WordPress theme for Business, Corporate built, Resort and Hotel with latest WordPress 3.1 features. Custom Post Type, Unlimited Colors, Extensive admin panel etc. Features also include scrolling featured images, social media integrated, photo gallery, shortcodes, twitter integrated and more.